Poet laureate Tracy K. Smith will visit Norway and Lewiston as part of her national tour. 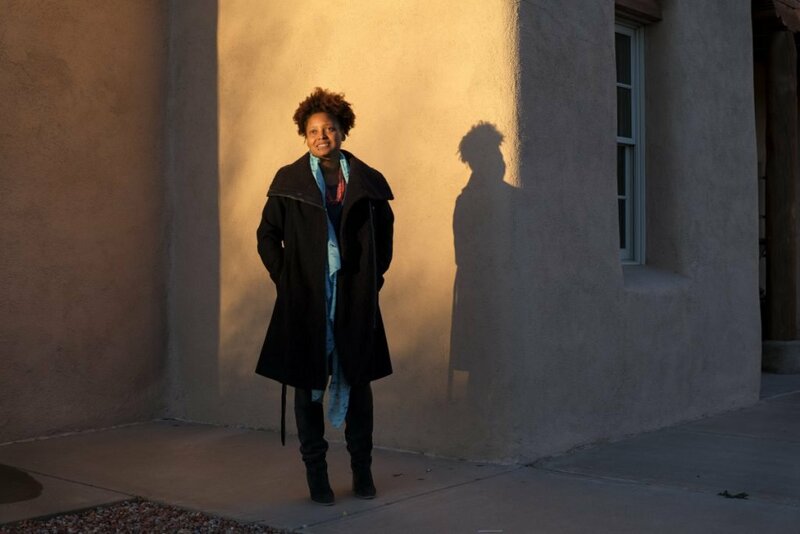 Poet Laureate Tracy K. Smith tours the Santa Fe Indian School as part of her project to bring poetry to rural and underserved communities, January 12, 2018. Photo by Shawn Miller. In her travels to rural communities, poet laureate Tracy K. Smith senses a need among Americans to find an inner truth, and she’s using poetry as a way to help those people find it. “I do think there is a thirst, and not just for poetry. Poetry is great at quenching all kinds of thirsts. But what I find is that people are in need of – I don’t even know what to call it – turning toward a place within the self that is often ignored or overshadowed by other things, the place within the self where large questions are formed,” she said. WHEN & WHERE: 1 p.m. Thursday, Norway Memorial Library, 258 Main St., Norway; 7 p.m. Thursday, Lewiston Public Library, 200 Lisbon St., Lewiston. Both events are free and require advance registration. Call 207-743-5309 for information about Norway or 207-743-5309 for information about Lewiston. Smith, the 22nd U.S. poet laureate, will visit Maine this week as part of her ongoing project “American Conversations: Celebrating Poems in Rural Communities.” She will talk about the power of poetry at 1 p.m. Thursday at Norway Memorial Library and at 7 p.m. Thursday at Lewiston Public Library. The Maine Humanities Council is presenting her visit in partnership with the Library of Congress. “American Conversations” is a series of programs across the country designed to inspire conversations about poems and poetry among generations of Americans, Smith said in a phone interview. She launched the program in the spring with visits to New Mexico, South Carolina and Kentucky. She went to Alaska in August, South Dakota in October and will visit Louisiana in December. To coincide with her visits, Smith edited the anthology “American Journal: Fifty Poems for Our Time,” which brings together the poems of 50 living American poets of different backgrounds. Graywolf Press released the anthology in September in association with the Library of Congress. The poems explore 50 outlooks on America with stories of loss, the experiences of immigrants and cries against injustice. She hopes the poems she shares during her community programs as well as those in “American Journal” help people understand different perspectives. Among many other things, a good poem can help consider things in other ways, she said. Smith was born in Massachusetts, raised in California and has spent most of her life in New York. She teaches humanities at Princeton University, where she also directs the creative writing program. She has written four books of poetry, including “Life on Mars” in 2011, which won the Pulitzer Prize. She’s been to Maine a few times, most recently last year as part of the Millay Arts and Poetry Festival in Rockland.